Ullaganar: Who is Ullaganar ? This blog will share the writings and research findings of Ullaganar, former lecturer of University of Science Malaysia, and his associate, Dr R Sivakumar, currently lecturing in University of Science Malaysia, Penang. Ullaganar is a well known scholar in a wide range of fields related to Tamil Language, Linguistics, Psychology, Dravidian and Sumerian studies. His parents were settlers in Malaysia from South India who had a small business in Sungai Petani, Kedah, Malaysia. When the second world war broke out they travelled to India for safety and security. Ullaganar was born in India during this time in the thick of the Second World War on 3-5-1942. In the year 1979 he was borrowed by the University Science Malaysia and appointed as a lecturer in Educational Psychology and Deputy Director of Project InsPIRE, a project for developing a programmed instructional system for Rural Primary Schools. 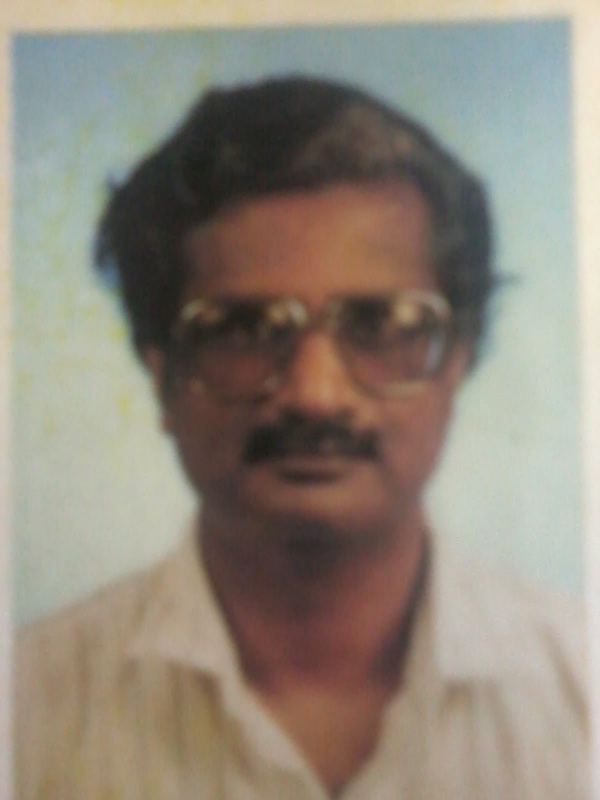 After several years of active teaching and research in many fields he retired in the year 1997 but continued his research even after retirement. He continues to research and publish in the internet to this day. 1. His finding that the oldest written language in the world, which is Sumerian is actually archaic Tamil, probably Tamil of the first Sangam. This is a ground-breaking finding as the westerners always classify Sumerian as language isolate. This finding means that the oldest civilization in the world is a Tamil civilization. 2. The second important finding is that the base of Sanskrit is Tamil. Sanskrit language has always been associated by the western world as Indo-European language, when in truth it has its base as Tamil. Initially his findings were met with strong opposition, but now it is slowly being accepted. Professor Clyde Winters agrees that Sumerian language is Tamil. Professor Asko Parpola also says that the Haparra and Mahenjo Daro civilization could be a Tamil civilization and the language they used as Tamil. Ullaganar has done such an in-depth study that his research stands on rock-solid evidence. His studies are based on what he calls ‘Dravidian Evolutional Linguistics’ which is derived from Tolkapiyam, Veer (Root) Linguistics of Paavanar as well as Aurobindo’s Linguistics studies, which is far more scientific then the ‘Constructive Linguistics’. Even though Ullaganar has passed the age of 70 years, his research on Tamil continues to this day. It is time the world, in particular the Tamil world recognises his great work and service to our Mother Tamil! Sumerians were advanced in science but also in agriculture, arts, writing etc ofcourse Jews, Romans, Greeks will not agree with this because Bible is full of Sumerian stories. Sumerian culture very close Tamil society. Hello Dr. Loganathan. What you think about the elamo-tamil connection? Sharing the ancient Elamites and Tamils the same background? I have great respect for Dr.Loganathan,in respect of his Sumerian Tamil connections! I need his emailID வணக்கம்! “Goddesses in world mythology “by Martha Ann says the world worshiped during 30000 to 5000 bc.3500 deities with their names and locations is mentioned.This is a US research publication. Deity Minakshi in Madurai Annapurna and chausati mata in Benares Jhakmata in Sholapur Polleramma in Nellore shakhambri ambe amongst others are mentioned.in youth research you may have come across.I have authored a book “Universal Religion Mother as God” This contains list of goddesses worshiped then in India.If you give me Indian address I will send with my compliments. What food to eat during kantha sasthi fasting? Talk by Dr Sivakumar, University Science Malaysia.